You might remember that some time ago I posted an interview with some dude from Polish game developer CD Projekt about the upcoming RPG game, The Witcher 2 Asssassins of Kings Enhanced edition (Xbox 360). He spoke all about the game, which is the console version of the PC game that came out a year or so ago. He told us lots of interesting things about the game (you did read it, didn’t you? Of course, you did). Well, on Thursday that game was sitting in my mailbox when I got home from work. And that night I played it (my dear wife even sat on the couch and watched the opening cinematic, which is breathtakingly good. You can see it here. Go on, click the link: you know you want to) and next thing I know it’s 12.45am and I have to force myself to go to bed as I’ve got a day job. After a few scant hours, I’ve fallen in love with the game world featuring Geralt of Rivia, a witcher and slayer of dragons. 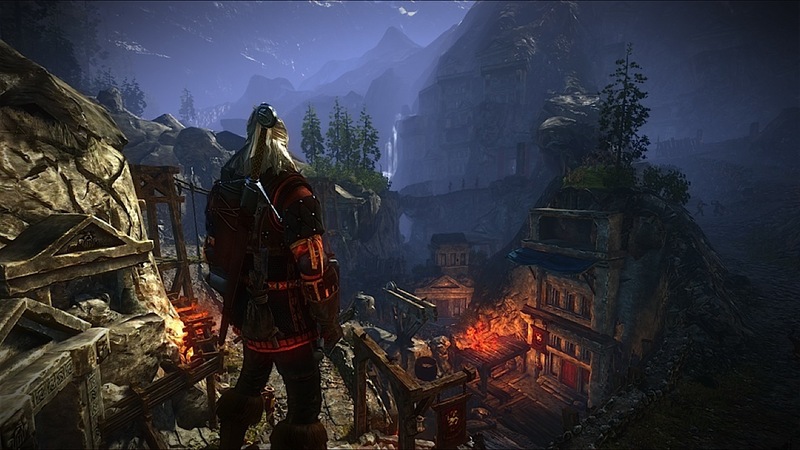 I didn’t fall in love with Geralt of Rivia himself (his weird eyes just give me the creeps) but The Witcher 2 could be the best RPG game I’ve played in a very, very, very long time. I shall be playing some more of it tonight. And tomorrow night. And Sunday night. And for as many nights as it takes to finish it. It is an astonishing game. It’s also an amazing visual astonishment, given that the 360 is what? Six years old now? CD Projekt must be pushing the Microsoft console to the very limit with the visuals on the game.